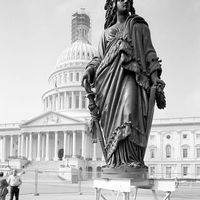 “Statue of Freedom,” Histories of the National Mall, accessed April 22, 2019, http://mallhistory.org/items/show/534. 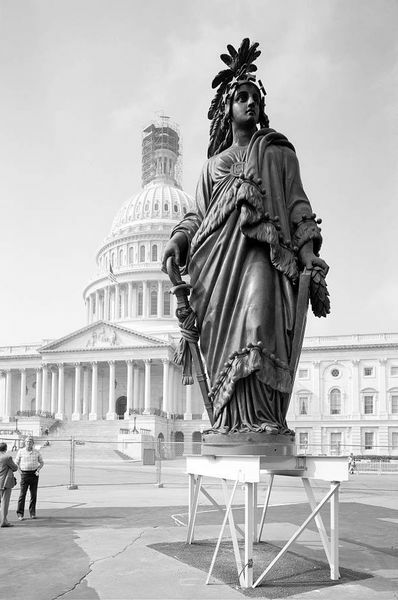 In 1855, Congress commissioned Thomas Crawford to build a statue to top the cast-iron Capitol dome. 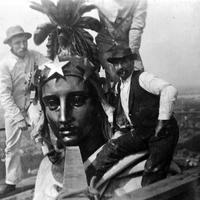 Two years later, Crawford created the plaster model in Rome and sent it to the US for casting. The bronze was cast at a foundry in Washington DC under the supervision of Philip Reid, an enslaved man. Casting was briefly interrupted by the beginning of the Civil War, but was completed by 1862. The statue stood on the Capitol grounds until the dome was completed. 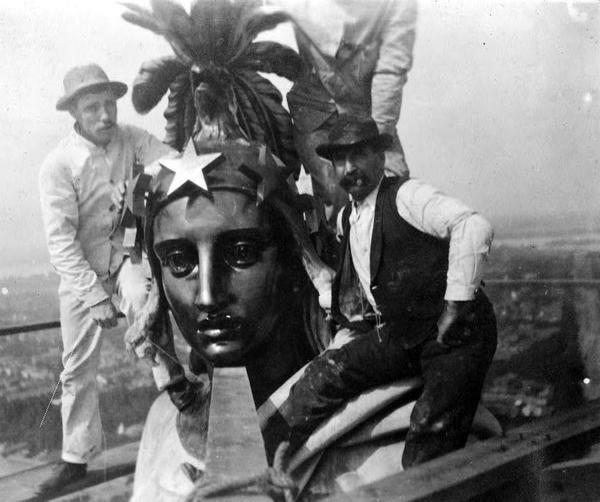 The statue was installed in stages, with the final pieces added in December 1863. Today, the Capitol Visitor Center displays the plaster model of the statue.